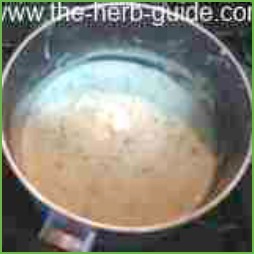 Making parsley sauce is straightforward - you start with a basic white sauce - sometimes referred to as 'béchamel' sauce. 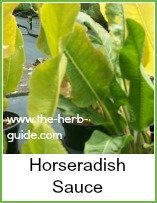 You can use fresh parsley, frozen or dried. Four tablespoons fresh chopped parsley, 1 tablespoon of dried or 2 tablespoons of frozen. White sauce is the basis of many different sauces, once you've mastered it, you have multiple choices. You can add cheese, onion, mushroom or shrimp to the base. I suggest you lightly saute the onion or mushroom before you add it. The cheese will melt and shrimp will heat through. I love parsley with baked ham, new potatoes, peas and broad beans and it's the basis of many different fish pies. If you cut the quantity of milk, to make a thicker sauce, this will fill vol au vent cases - perfect for buffet parties. Watch this short video of me making it in my kitchen. 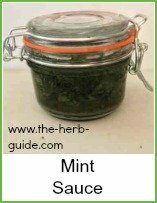 Join my YouTube Channel - I upload weekly videos on all things herbal. Remove from the heat and stir in the flour – get all the lumps out by pressing with a wooden spoon. Cook over a low heat, stirring constantly for about 2 minutes. Remove the pan from the heat and gradually add the milk. Pour a little at a time and whisk with a balloon whisk or stir with the spoon so that the mixture gradually gets runnier. Return the pan to the heat and stir constantly whilst the sauce thickens. Cook for about 10 minutes and keep stirring from time to time - just let it cook gently, but make sure it doesn't stick. Add the parsley after about 8 minutes, stirring well to mix through. It's not hard and a lot of people make a 'big thing' out of it. The secrets are to make sure you get the lumps out of the initial butter and flour mix, cook it for a couple of minutes and use a balloon whisk to incorporate the milk thoroughly into the butter and flour. If you make sure you have no lumps at each stage, then you will have a perfect sauce. Leave out the parsley and melt 6 oz (150g) grated hard cheese and pour over cooked cauliflower for cauliflower cheese, add a large chopped and softened onion to the cooked sauce - the limit is your imagination. 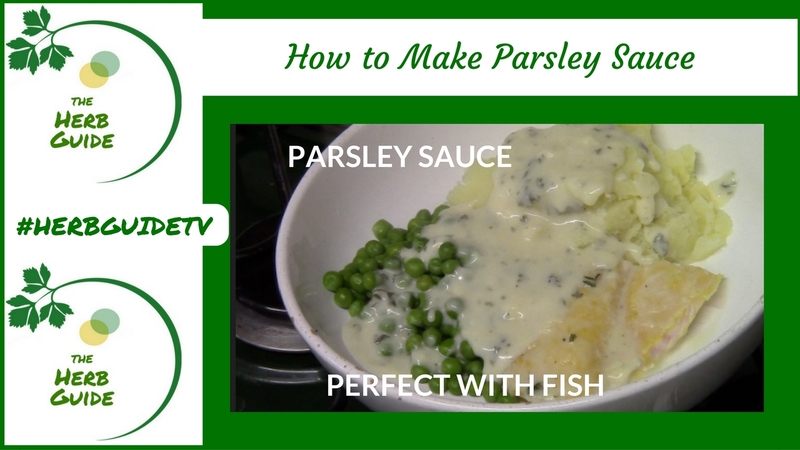 Parsley sauce is a classic to serve with fish - normally white fish, wet or smoked. Smoked cod or haddock is very tasty. Use this sauce to make a fish pie - you can buy special mixes at the shops, but a standard mix is plain cod, smoked haddock, plain salmon and shrimp. It is also very good with ham or gammon. 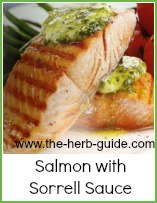 Parsley sauce is so good with fish or ham and vegetables.